On February 14, 2006, the Ministry of Children and Youth Services (MCYS) announced that the Ontario Government would be funding various youth opportunity initiatives, as part of the government's new strategy to address the growing needs of our youth. Part of that strategy, was and is a partnership with the Toronto Police Services Board, the Toronto Police Service, and the Ministry of Children and Youth Services to hire 150 youth for the summer. In 2012, the Youth in Policing Initiative Afterschool program was created in recognition of the importance of providing support and employment opportunities for young people all year round. This employment initiative focuses on diverse youth between the ages of 15 and 18 years, who reside in our priority identified neighbourhoods within the City of Toronto. The aim of the Youth in Policing Initiative is to promote youth participation in and exposure to the work environment through diverse, educational, and productive work assignments. This program also enhances the link between the police and the neighbourhoods we serve. This initiative gives young people an opportunity to develop job skills while fostering positive partnerships with the Toronto Police Service. To promote the Toronto Police Service as an employer of choice. Below is a map corresponding to the numbers and neighbourhoods listed above. 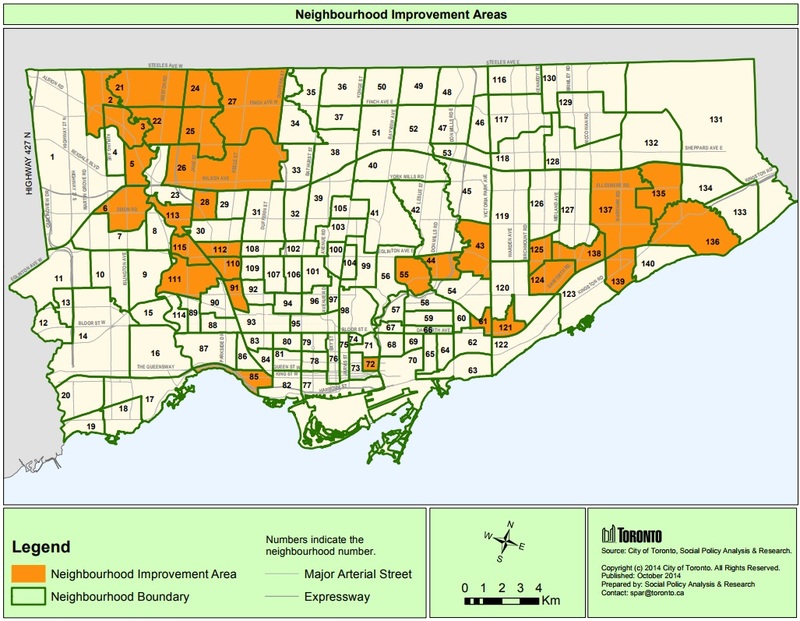 For more information regarding the specific neighbourhoods please visit the Neighbourhood Improvement Area Profiles. For more information, please contact us at yipi@torontopolice.on.ca or 416-808-7293 and 416-808-7108.